Payroll processing can be really cumbersome and demanding! It is not surprising to see why small and medium size businesses dread payroll processing. Though payroll is a non-core function of the business, it consumes significant time and resources of the business. Risk of payroll not getting processed on time, likelihood of calculation mistakes and more is constantly looming over the payroll management team. Wouldn’t it be great if your business could productively use these time and resources for benefit of the business? Well, there is certainly a way to do so – outsource your payroll management. Find a reliable Certified Public Accountant in San Antonio to outsource your business payroll today. Productivity – Outsourcing payroll can result in increased productivity as the staff gets time to pursue value-adding activities. The time they used in payroll management can be used to focus on sales, business development and more. Time – Payroll requires attention to detail, hence the entire process is time consuming and cumbersome. Right from entering considerable amount of data to calculating tax liabilities, there are several tasks that take time and need to be done for every payroll period. By outsourcing payroll, you can save this time of your staff. Expertise – Along with manual processing, payroll management also involves compliance with government legislations. Certified Public Accountants have the necessary knowledge and expertise. They also stay updated with current rules and regulations related to tax rates. Cost – Though this may surprise you, but outsourcing payroll is a cost effective decision for your business. When you perform payroll in-house, estimate the cost of resources and time involved. This amount is higher than the cost of hiring a professional payroll service provider. Focus on running your business without any hassles or worries of payroll processing. 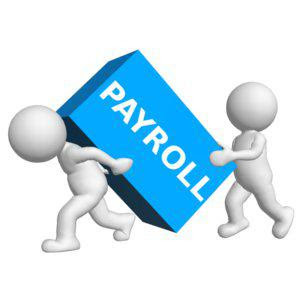 Outsource payroll management for your business in San Antonio, call 210 701 1040.